The rumors that surfaced online a few weeks ago about a new game that Respawn Entertainment has been developing is actually real. Apex Legends, the newest battle royale game to compete with the giants PUBG and Fortnite, is now available to download. Apex Legends was just announced and players can now start downloading the game on PC, PS4, and Xbox One for free. While the game falls into a battle royale pit, it has different features compared to the common battle royale game such as Fortnite and PUBG. Every match consists of 20 teams of three players trying to survive for their lives. There are 8 characters to choose from, each of these characters features unique abilities. It’s not just a shoot-and-kill game, picking a good line-up of characters will bring the win for the team. In addition, the developer has also added a feature called Ping that will give players an option to suggest a location, objective, or inform teammates when an enemy has been spotted. If you played some other games such as Dota 2, ping is one of the key features to inform the team of some activities that are not visible on their battle screen. 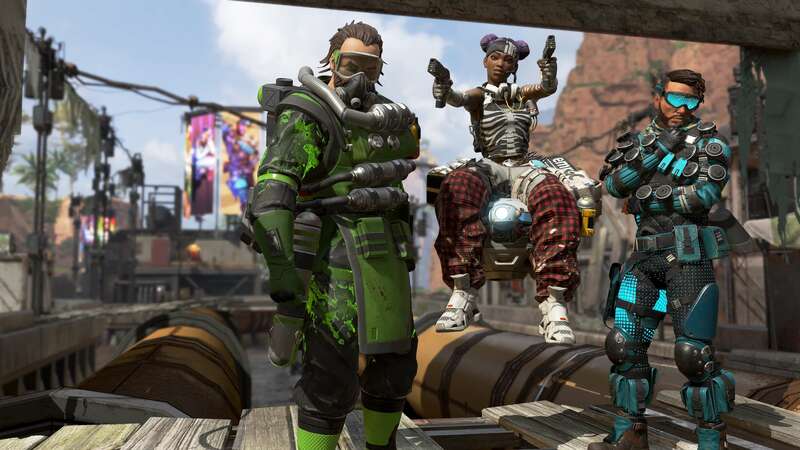 Similar to the other free-to-play games, Apex Legends also offers microtransactions and in-game purchases. Some of the things that you can buy in the game are loot boxes and cosmetics. There’s a total of 8 playable characters in Apex Legends but if you want to play them all, you need to buy the two premium characters since the first 6 characters are free when you start playing the game.